With skills forged in the classroom, Arts and Letters students are well prepared to tackle new opportunities and gain valuable real-world experience through summer internships. 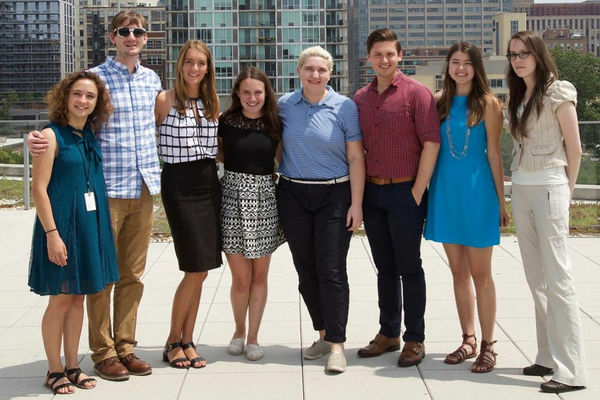 The Arts and Letters Summer Internship Program makes these experiences possible by offering students funding to offset travel and cost-of-living expenses for internships in any industry or location. The program, administered by Notre Dame’s Center for Career Development, has awarded nearly $700,000 in funding since 2010 to support more than 300 students interning around the world. For Salley, a neuroscience and behavior and French major, her internship was an important step toward pursuing a career in the medical field. 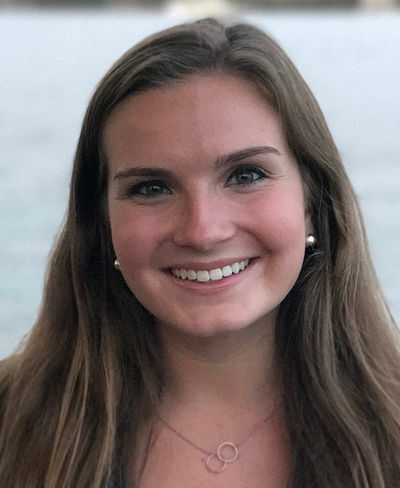 “The ALSIP funding allowed me to experience a summer filled with medical research and shadowing that really confirmed my desire to attend medical school and become a physician,” she said. As a summer research intern in pediatric infectious diseases, Salley assisted with two research projects — one on an infection present in a population of babies who had received bone marrow transplants and the other on infections in the NICU. Salley collected data for analyses to determine the best course of treatment for these infections. “I learned so much about medical research, and I know I will take these skills with me as I continue toward my career goal,” she said. During her time at the hospital, Salley read countless patient charts. The skills she had learned in the classroom helped her to pull out each patient’s important medical information while still understanding their story. For Salley, the internship was an incredibly valuable experience that left her excited to continue her education. 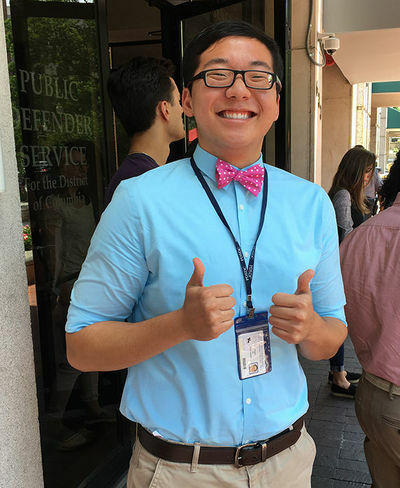 Senior Kyle So, a history and French major and theology minor, spent his summer as an intern investigator with the Public Defender Service in Washington, D.C. He worked closely with attorneys there and assisted them in gathering evidence by obtaining records and speaking to potential witnesses and clients. Kyle So stands outside the Public Defender Service office in Washington, D.C. While So’s Arts and Letters education provided him with a strong foundation in writing, his time in the public defender’s office gave him the opportunity to practice writing in a professional setting. The experience also helped So develop new skills in communication. Toward the end of the summer, So had the opportunity to see all of his work pay off when he attended and took notes at a trial in the Superior Court of the District of Columbia. In preparation for the trial, So helped edit the defense attorney’s statements and contacted witnesses who were brought to the stand. Fatou Thioune interned at the Ministry of Economy and Finance in Senegal. Senior Fatou Thioune, an economics major and Middle Eastern studies minor, interned at the Ministry of Economy and Finance in Senegal last summer. A native of Senegal, Thioune worked in planning and economic policies administration, where she helped to write policy briefs and guides for the other areas of the ministry to reference for their projects and investment goals. The projects involved heavy research, using various economic tools. 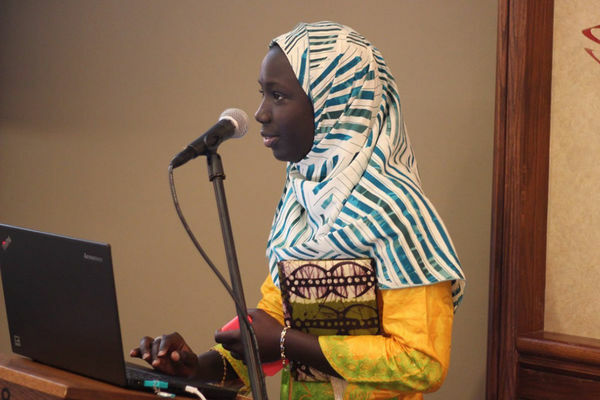 One project focused on boosting productivity in Senegal, for which Thioune researched the determinants of productivity. Though the work was challenging at times, Thioune’s experience at the ministry ultimately prepared her well for her future academic plans — to pursue a Ph.D. in economics in the U.S. While working as an art and education intern at the National Hellenic Museum in Chicago last summer, junior Caitlin Riley confirmed her love for teaching — a path she hopes to pursue in the future. Riley, a history and classics major, helped coordinate the museum’s programs for schools, accompanied field trips, and assisted with lessons for the museum’s summer camp. In addition, Riley put her research skills to good use while working on her summer-long project — a “teacher toolkit” for the museum’s Aegean exhibit. The packet will be included in a box with fake artifacts and sent to schools as a traveling exhibit. The museum also hosted an “intern development day” where employees reviewed and edited the interns’ resumes, answered questions, and offered advice about everything from career paths to interviewing. To apply for ALSIP funding, talk to staff at the Center for Career Development. Applications are typically due six weeks prior to the start of an internship. Originally published by Teagan Dillon at al.nd.edu on January 17, 2018.